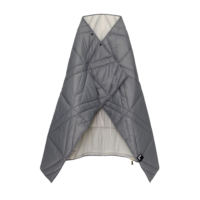 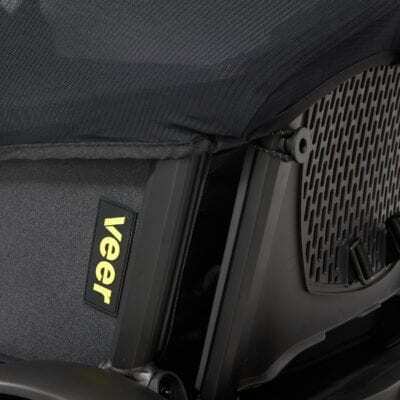 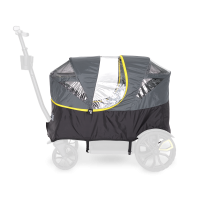 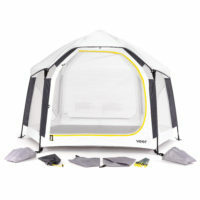 Veer’s Nap System turns your Cruiser into a JPMA safety certified Bassinet, making your Cruiser the ultimate rest stop or changing station for young ones. 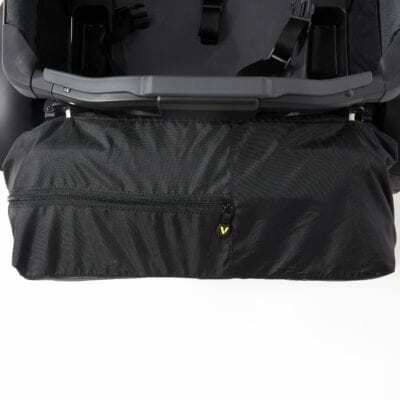 (The Nap System is suitable from birth up to 20 lbs. 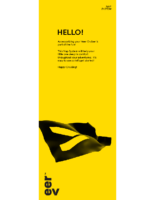 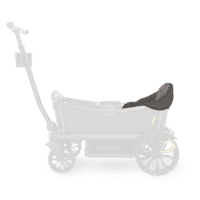 [9 Kg] and/or 27” [69 cm], whichever comes first or until your infant pushes up on their hands and knees.) 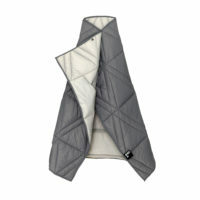 A soft, removable mattress pad is included. 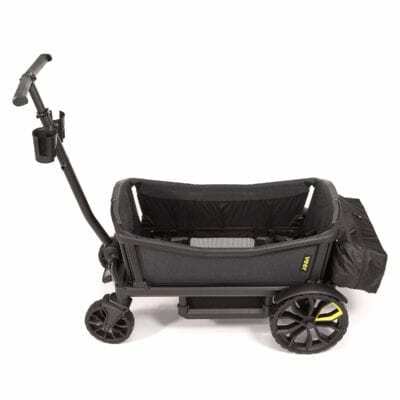 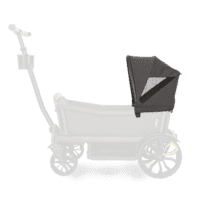 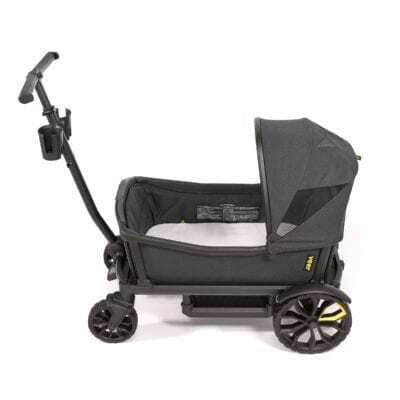 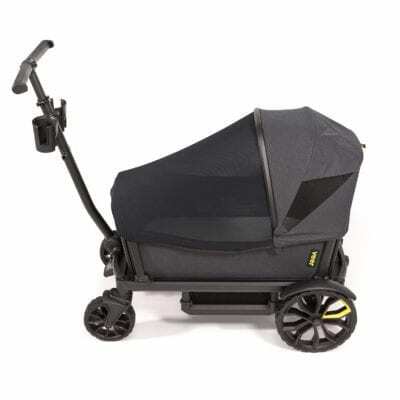 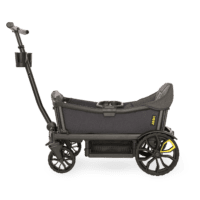 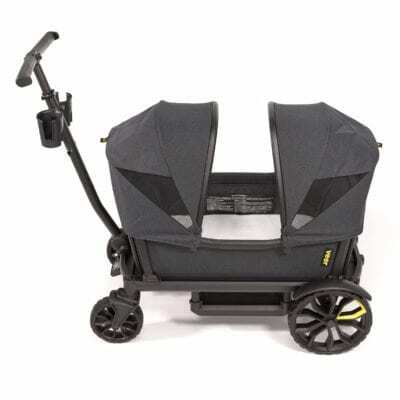 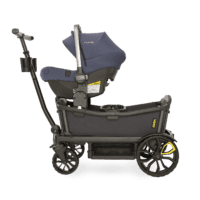 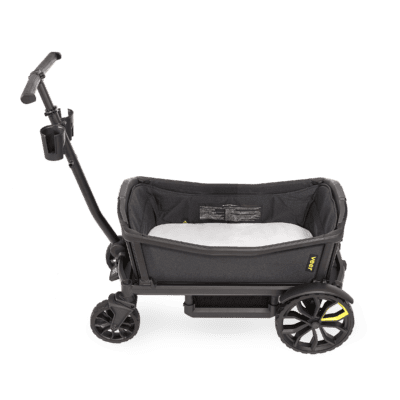 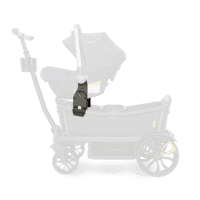 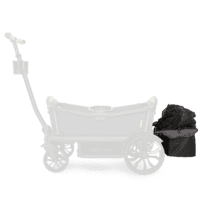 The Nap System includes magnets built into its cleanable sidewalls that keep it snug to the Cruiser sidewalls, and includes four bungee connection cords that attach to the seat backs to keep little ones safe. 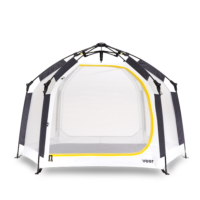 A bug shield that zips on a sun canopy to cover the Cruiser is included (retractable sun canopy sold separately). 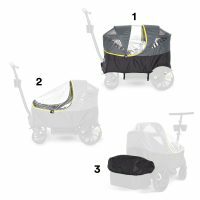 The Nap System makes a great changing station as well. 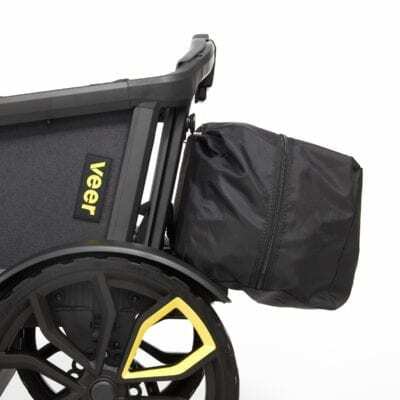 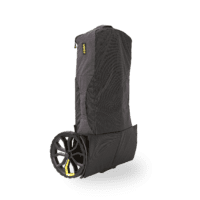 The Nap System compactly folds up into a storage bag that mounts to Cruiser and it also fits in the Foldable Storage Basket when not in use.